Here’s the KODE – our brand new all-round frameset. What’s cool about it? What makes it probably the most versatile product in our offer? 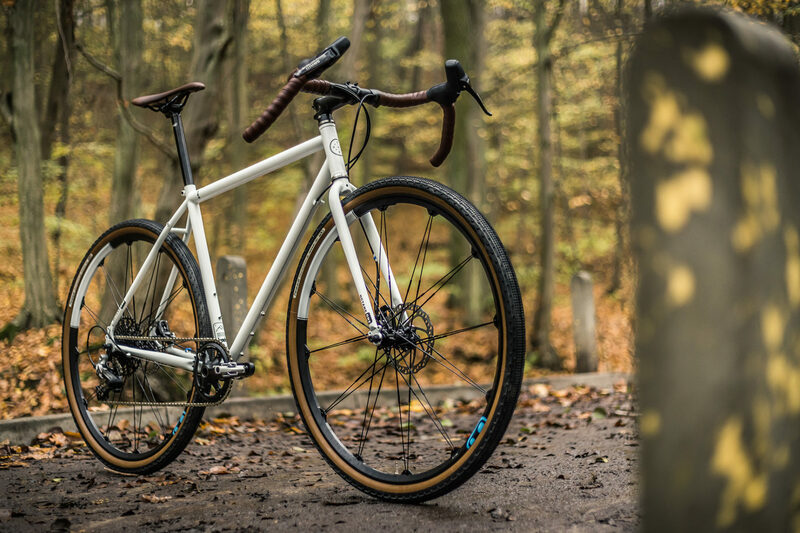 First of all, the material – custom butted TANGE steel tubes not only makes the frame and fork super comfortable, but also relatively lightweight (frame + fork weigh 3kg). Thanks to the horizontal dropouts there’s almost an indefinite number of bike types that you can build around this frameset. Let’s try to name a few: fixed gear, single speed commuter, geared commuter, geared adventure bike, geared gravel bike, disc brake road bike and so on and so forth. Adding the possibility of choosing from different type of handlebars (dropped or flat), the number of options that you can go for is really vast. The geometry of the frame is pretty universal, so the position on the bike is comfortable no matter the set-up that you build. The frame is disc brake compatible (IS standard) and the rear brake mount is adjustable, so you can move the calliper along with the wheel in the dropouts. The frame also features all the mounting holes that you could ever wish for: mudguards, racks, 3x bottle cage mounts. The tire clearance is big enough to take up a fat gravel or road plus tire (up to 700 x 43c or 650b x 45c). This means that you can make the KODE a perfect bikepacking workhorse and the best two-wheeled fellow traveler out there. The frameset comes in 3 sizes: S/M/L and are available in 2 classic colors: black and white. The KODES are avalilable through our dealers and distributors or through our shop. For more info about the frame go here.